How To Get Traffic Your Blog Needs without Google? 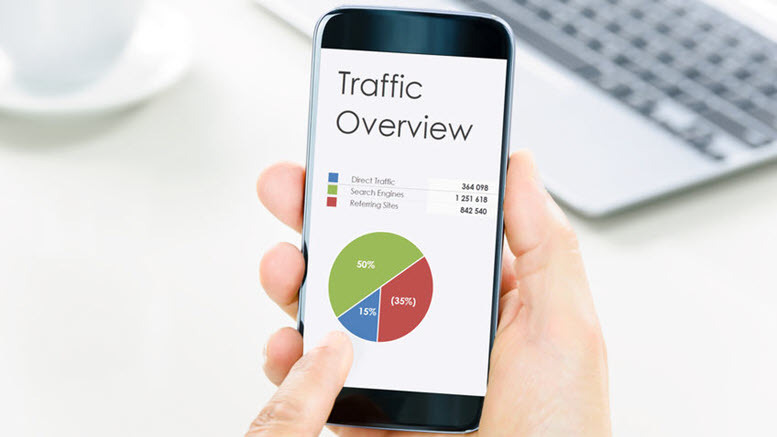 Unlike 10 years ago when traffic was abundance, today, getting traffic your blog needs in order to generate sufficient income requires multiple strategies. I remember when I first started my beauty blog (learn how to can start beauty blog), getting ranked on Google was so easy. What you need to do was insert keywords onto your content, increase your blog listings in online directories and frequently comment on other people's blogs with inserting your post link. There wasn’t any need to involve social network at all. Your blog can get ranked within days (sometimes hours)! My blog constantly appeared on top 3 rankings of Google first page. It was just so easy. With more and more people wanting to earn money online (here're 50 real ways to earn money online), the web is so congested that Google has to change its algorithm so many times to ensure its search results are relevant to users. The need to keep up with constant changes on Google algorithm (approximately 500-600 times a year) is pushing bloggers to look elsewhere, exploring alternative ways to drive traffic without relying too much on Google. Don't get me wrong. I am not saying Google isn't important. Take a look at the statistic. Google still hold 78.05% of search engine market share. That’s how important Google is compared to all other search engines. Just that with web becoming more competitive, solely relying on search strategy to generate traffic to your blog is no longer adequate. In the past, in order to enhance Google ranking, bloggers leveraged highly on its social network Google+. But the recent announcement made by Google on 8th October, 2018 has confirmed that Google+ for consumer will be officially shut down by end of August, 2019. If you too want alternative ways to drive traffic to your blog, there are a total of 8 ways I can think of. But in this post, I will first share with you 4 methods (YouTube, Facebook, LinkedIn and Quora) and the remaining 4 will be shared on part 2 of this post. YouTube has popularize over the years, increased to more than three billion daily views. Considered the third most visited website in the world, this video-sharing platform claimed itself as the world’s second-largest search engine (behind Google). YouTube definitely has potential to get indexed inside Google’s search engine result pages (SERP) and drive more visitors to your blog one appropriate strategies are used. Most people recognize the importance of creating viral video on YouTube to please its visitors. But little have they known that prepping visitors with call-to-action on the video can potentially get them ready to take action on your blog once they click on the link. 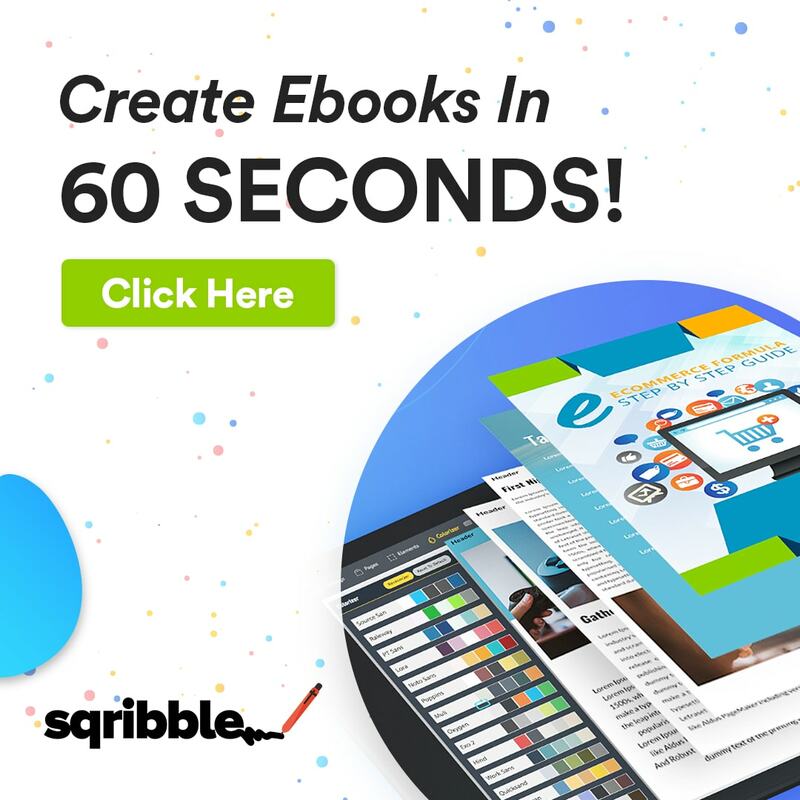 To do this, you must tell your visitors precisely what to do (eg: go to my blog), how to do it (e.g: “click the link below this video”) and finally, why to do it (e.g: “get my 55-pages free e-Book on Beginner’s Guide to Blogging Success”) on the video itself. You also need to describe how your offer can bring value to your visitors. The more precise you are with description, the higher possibility that they will click on your link. Therefore, a strong “call-to-action” on your video is a must. Another point is to add a paragraph or two of text in YouTube “video description box” to describe your video including adding the link for your call-to action. This makes it easier for your visitors to click on your blog link. Remember, in order for your audience to willingly leave YouTube and move to your blog, you must be willing to give compelling offer. I’ll quote an example on Pat Flynn’s video. In the case above, Pat Flynn offers his viewers 3 different types of online business models and explain how each model works. By end of the video, he includes three call-to-action. First is to get people to visit his blog smartpassiveincome.com, next to subscribe his YouTube channel and finally to subscribe his SPI podcast. 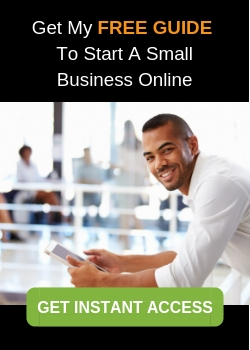 In this case, Pat’s compelling offer is about “more tips to start online business”. Because he has already established himself as an authority in his niche therefore his personal branding (knowledge, expertise and experience) is compelling enough to be used as an offer. One way he engages with his YouTube viewers is by posting question. Using this tactic, viewers will be compelled to visit the “comment box” and post their answer. By doing so, Pat’s video description that contains his post link will be seen by people who commented. This gets more visitors to his blog. 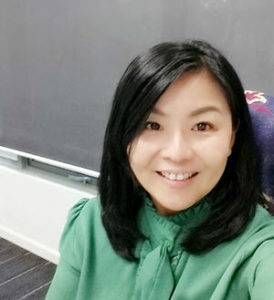 If you are still new and has yet to create authority in your own niche, you can try to offer “list of recommended free tools”, “industry report”, “list of high converting keywords on evergreen niches” or “free online marketing templates” to your audience. One little-known feature which is “call-to-action overlay” on YouTube is often overlooked by marketers. It is a small overlay on the bottom part of your video to promote click through. It is simple to create whereby you just need to sign up at YouTube to activate this feature. To recap, here are three ways to get more blog visitors from your YouTube video. Make sure you add all three call-to-actions onto your YouTube videos. But remember, a compelling offer is a must that should never be neglected. I am sure many of you heard that Facebook organic reach is slowly going down in quantity or users fleeing from Facebook. Don’t worry. No matter how, Facebook still has 1.8 billion monthly users worldwide. That’s still huge chunk of traffic you can potentially generate to your blog. So it definitely makes sense for your business to be on Facebook. In order to get more blog visitors from Facebook, you have to socialize on this platform. This is where you to treat your followers with respect, respond with concern, answers questions and engage regularly. Look at how AWeber respond to their fans. Once you get this right, one way to start attracting viewership is to post high quality content regularly. Make sure that your post image is big and your description is not too long. Remember, there are fierce competition to get attention on Facebook. Your fans will most likely be attracted to click on your link by looking at your post image than spend time reading your long text description. Decisions to click are made in split seconds and therefore you must get your best post image and description ready. The best is to start with large attractive image. For text, I would suggest to stick with Twitter recommended 280 characters. On top of that, having the same text length makes it easier for sharing across all social networks with only one single click. This can be done via a unified dashboard provided by Hootsuite. Your description can consist of “short quote” from your blog (try Sumo to make sharing and list building within clicks) but must end with a “call-to-action”. Here’s one example of a good call to action. [Post Description] Click here to start learning step-by-step and you will soon be on your way to create a successful beauty blog. Like other traffic generation methods, another way to generate clicks from Facebook to your blog is by offering free giveaways. For example, I offer “free eBook on Beginner’s Guide to Blogging Success” on Facebook so people can click “Signup Tab” and be led to my lead generation page. This way, not only am I able to get more blog visitors but prior to that will get leads into my marketing funnel. Your landing page after your followers subscribe to your offer can be in the form of a related post. This increases possibility of them reading the post, thus stay longer on your blog. To make your blog link more visible and easier to access, I suggest to add a “Blog Tab” onto your Facebook homepage. If you are ready to start paid advertising for traffic generation, then I highly recommend you to learn from Kim Garst (famous social media influencer) on how to drive traffic from Facebook to your blog with paid advertisement. Have you heard of Quora? I bet not many heard of this user-generated Q&A platform where anyone can post question and get answers from experts in the community. I also just get to know Quora few years ago despite it was launched way back in 2009. Although not widely known by many, this platform is a great way to get more blog visitors so you are able to promote affiliate products to them. You must be wondering how is this possible when so many people perceive Quora as another distraction from serious work. In fact it is a great source of traffic for most bloggers. Ok, I am sure those who are into online business will have heard of Neil Patel, top influencer on search marketing. He quoted Quora as the number-one traffic driver for his blog NeilPatel.com. With his answers on the platform hit over 1,800,000 views, he was also featured three times in the Quora Daily Digest that goes out to up to 2,000,000 people. If this New York Times best seller and top influencer on the web highly recommend Quora, I don’t think there is any reason bloggers should ignore this user-generated Q&A platform. After all, when we start blogging, our intention is to share knowledge and expertise with our audience, right? Other than getting the opportunity to help your audience, I believe Q&A format is a great place to find ideas for your next content too. While browsing through the questions on your niche, you will be able to know the type of most frequently asked questions – and that’s the content you should go in-depth. Similar to other social networks, to start with Quora, you need to create a traffic-optimized profile. Your bio that allow only a maximum of 80 characters must be able to convince your audience that you’re the most suited person to answer those questions. In order to provide more information about yourself, a profile summary need to be included. You can use story-telling method to write your profile summary. This consist of your experience, struggle, successes and even your journey in life. Adding specific topics to your profile will be an added advantage as each topics will come with a separate set of bio. And these separate bios will override your main bio when answering questions on different topics. Once everything is properly setup, now is the time to start hunting for the right questions to answer as not all questions are worth your time. You need to find one that has at least more than 1,000 views so you are sure sufficient number of people will be able to see your answers. Here’s one example of question on kitchen design with 2,074 views which is a good one to start with, provided it is relevant to your niche. Don’t forget to link to your blog when answering questions. This can lead traffic back to your blog if Quora members need more information. As I am pretty new to Quora, I was curious on how many visitors can I generate by answering questions here. Therefore, I did a search on the most viewed Quora writers at all time. And guess what, the number of times viewed on answers provided by Balaji Viswanathan is 246,700,000 times! Imagine if you are Balaji Viswanathan (CEO of Invento Robotics, India), and you had such massive views on answers that you provided. Even if you managed to get 1% of the total views to click on your blog link, you can generate a massive 2,467,000 clicks. Do you still think Quora is time-wasting? With more than 500 million users and still increasing, LinkedIn has emerged as the most powerful social network for B2B marketers. If you are thinking to drive traffic to your B2B blog, then this is the right platform. It has awesome traffic sources but underutilized by many marketers. According to their research, LinkedIn accounted for 50% of total social traffic to B2B blogs with 87 million millennials from the age of 15 to 34 year old and 44% of its users earn more than $75,000 in a year. Get the full statistics here. That’s quite an attractive demographic if you own a B2B blog. To get more blog visitors from LinkedIn, you must first get the basic right. A brief summary that clearly introduces your work, expertise and experience must be added onto your profile. Try to make it easy for people to contact you via email or LinkedIn, be honest and make sure there’s no typos on your profile to start with. Before you can even start to drive traffic, one very important thing you must do is to include “image and post link” of your best post on your LinkedIn profile. The selected post content must inspire your audience to click-through and read. Here’s how I’ve included two of my best posts onto my LinkedIn profile. If you’ve added the image and link I described above, those who view your profile will be able to see your blog link. And if they find your post interesting, there is high chances that they will click on it. This is only the basic. Once you are ready with the basics, let’s find out how we can get your audience to view your LinkedIn profile. Like any social platforms, you need to engage with members in order to establish your presence. To start, find groups of your niche and join in their conversation. If you are a new blogger, you must be thinking how you can contribute when you have lesser knowledge and experience. I suggest you to share high quality content from authority of your niche. Honesty will play an important role here. When you share quote or idea from another person, make sure you give credit to them. To quote an example from self-development niche, your post on LinkedIn group can sound like this, “According to Tony Robbins, “when you are grateful, fear disappears and abundance appears”, then link to relevant content so interested reader can follow the know-how via your shared link. As you share high quality post regularly, you will get noticed by more people within the group. And when you continue to do this, there are higher chances for them to view your profile. That’s when your profile visibility will increase – and that includes your post link. Remember, the more value you can give to your group, the more profile views you can get. 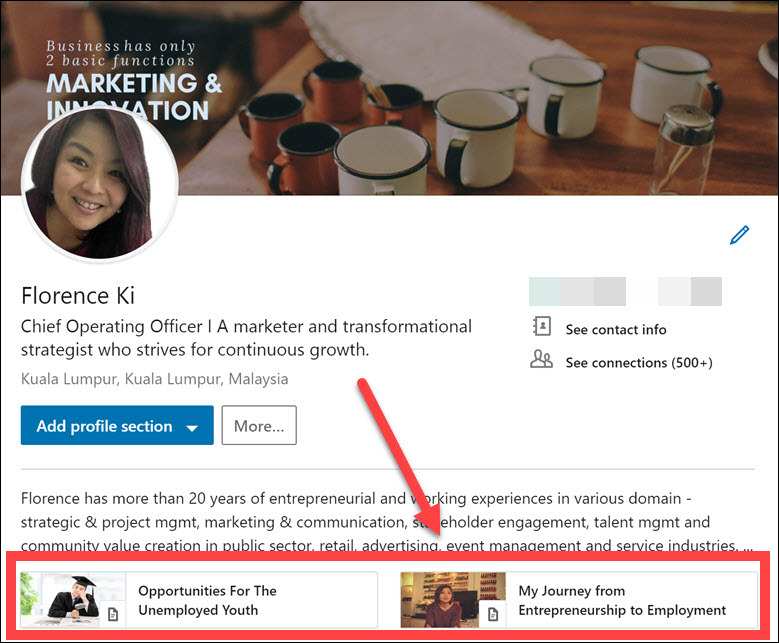 Here’s how you can join groups in LinkedIn. Please make sure that you read rules of each group before posting. You wouldn’t want to risk being kicked out for violation when you least expect it. The goal is not to drive traffic directly to your blog but to get as many profile views as possible. However, when you managed to establish an authority within the group, you will then be able to occasionally post your link and get more blog visitors. When this is possible, make sure you include image on the post. A survey by LinkedIn found that including images in posts increases the comment rate by 98%. Video has similar effect but not as good compared to images. When you consistently share post with large image, you will always be exposed to a larger audience. One last method to drive traffic to your blog is to republish your content on LinkedIn. 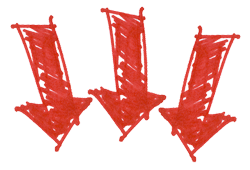 You must be thinking that Google will punish your blog for duplicate content. The truth is there is nothing wrong to copy and paste your blog content onto LinkedIn. This is in fact one best ways to improve your authority on the social network. If you do not believe me, read an article by NeilPatel.com on duplicate content. So now, you have learned 3 ways to drive traffic from LinkedIn to your blog. To recap, here’s how you can do it. Follow these three tips and you will soon see the growth of blog visitors from this B2B social network. Despite the many ways not to involve Google in traffic generation, we need to face the reality that Google is still the king in search marketing and is definitely here to stay. I adore Google and search marketing is indeed my best method to get more blog visitors. Thanks to Wealthy Affiliate and Jaaxy that I managed to start my business blog and get my posts ranked on Google without spending money on paid advertisement. You too can get ranked on Google by using the keyword research tool that I use. Just need to key in your preferred keywords below to start your first 30 keyword research for free. But if you are still thinking on whether to start your own blog, then is better that you give Jaaxy a skip. I would recommend you to take some free lessons to blogging with Wealthy Affiliate before deciding whether blogging is for you. Not sure about you but this awesome community has helped me start my first blog that truly can earns me some income. Here's my story on how I started to earn money online. I hope this post has given you better understanding on how to get more blog visitors without relying too much on Google. For more traffic strategies, please read Part 2 of this article where I share another 4 strategies. If you like this post, I would appreciate if you could share on LinkedIn or Twitter. p/s: do follow me on my Twitter. 10 Comments on "Get More Blog Visitors (without Google) – Part 1"
Hi Florence, this was a fantastic article, it is getting harder to rank on Google first page that is why it has to be a long term plan. You have listed some good sources for alternative traffic methods, some of which can bring about some quick results, the trick, I believe is to concentrate on just one and master it, otherwise if you focus on too many methods, you will just be jumping from one platform to another without ever seeing any success from them. Glad that you found this helpful. I will be sharing Part 2 of this article soon. You should be able to access in another couple of days. Will share on how to leverage on influencer, do guest blogging, email list and offline marketing to get more blog visitors. Bookmark my site! You are right. Competition is fierce on Facebook. I still prefer to use search marketing as my main traffic strategy. That’s what taught by in the program I joined to start this blog. Great Post! I was pretty shocked to hear Googles announcement about the ending of Google+. Anyway this doesn’t bother me that much, I don’t really use this social network. You have shared some awesome ways to get blog visitors. Never thought Quora too can bring traffic to your blog. From your post, I believe Google is still the major player in your traffic sources, am I right? Yes, Google still is. I prefer to focus on search marketing as it is more sustainable if the right strategy is used. Luckily I have a community that helped me with Google ranking, otherwise it would be tough. Thank you for your comprehensive article about how to drive traffic to my website. I know this is the most important thing online, to get readers. I learned some new things about how to use Facebook, LinkedIn, and YouTube. I need to focus a bit more on Facebook, 18 billion active users is a whole lot! Thank you very much for your eBook beginners guide to blogging success, very much appreciated! You are most welcome Leo. I am currently working on a list of tools that I use to run my online business. Will share on my blog soon. Glad that you find this useful. Please checkout Part 2 of this article too. More ways to drive blog visitors.